C. apiomorpha of Michigan Flora. 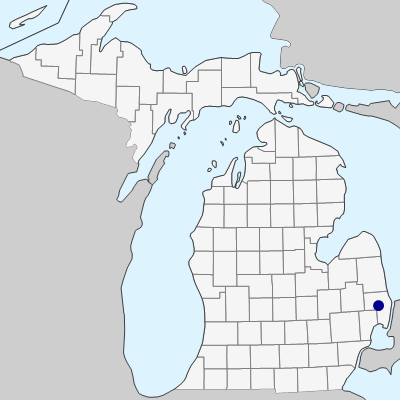 In Michigan known only from St. Clair, St. Clair Co.; presumably in old fields and fencerows, though no habitat is stated on the collections. MICHIGAN FLORA ONLINE. A. A. Reznicek, E. G. Voss, & B. S. Walters. February 2011. University of Michigan. Web. April 21, 2019. https://michiganflora.net/species.aspx?id=2432.